Which Digital Camera is Right for You? When in the market for a new camera, most people don't know where to start. Many people purchase cameras beyond what they need because they think the more expensive the camera, the better it is. If you want a camera for family vacations, you wouldn't buy the same camera that you would use to professionally shoot weddings. This post will give a brief outline of the tree tiers of cameras that you can purchase and what each type is best for. The first type of camera is the one that you would buy for your children, your grandparents, or for everyday events that you would like to capture. These are point-and-shoot cameras. They are mostly automated but you can choose settings like portrait, night, sport, and optical effect modes. This type of camera is a step up from your phone camera, so your Facebook uploads will look great. Point-and-shoots run anywhere from $50-$250 and are small in your hand with very easy to use settings. If this is the type of camera you are interested in, check out the Canon Powershot ELPH 180. If you would like to go a little higher in quality and complexity, the $250-$800 range might be for you. This group of cameras are known as digital single lens reflex or DSLRs. DSLRs give you more control over the image settings and are great for those who are interested in leaning more about photography or for web based media. In the manual mode, you have full control over the shutter speed, aperture, and ISO. DSLRs also have removable lenses so you can chose any lens you want that fits the mount. Many of these cameras also record video in high definition. Although this type of camera is a higher quality than the first, files from these cameras cannot print much larger than 16x20 inches. If this is what you are looking for, the Canon EOS Rebel T6 might be for you. For a professional quality camera, this is a case of spending more to get more. They can range from $800 to almost $4,000 (and then there are the medium format digital cameras that can be up to $45,000). Though, after a certain level, nothing changes. These cameras come with full control over your image, both in making the picture and its output. They create the highest quality files that are great for fine art photographs, professional commercial photographs and for large print based mediums. These DSLRs are for photographers who are already experienced with cameras and and how they function and would like an upgrade. The Canon EOS 5D Mark IV could be yours if you would like a professional level camera. Recently, mirrorless digital cameras have become popular. They can run from $800 to $2,500 on the highest end. These cameras have all of the same settings as the high quality DSLRs but with smaller and lighter frames. The body looks like that of a 35mm film camera. Mirrorless cameras rely on a viewfinder for focusing which can be a turn off for some people, but preferable for others. If you are looking for one of these cameras, check out the Fujufilm x100F. As always, the best camera is the one you have with you. You don't need a $3,000 camera to make great images, so just go with what you got and make some work! 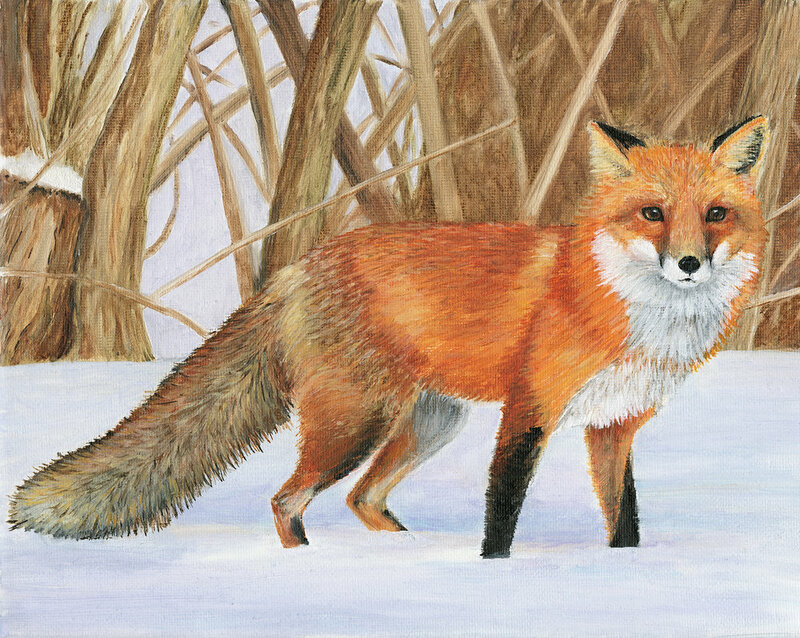 Have you ever wanted a reproduction of an original print or painting? We can make a photographic print that looks exactly like it! Through color matching techniques, we can make you an archival reproduction that can be sold as digital editions, given as gifts, put on display, or kept as copies in place of the original print or painting. This method is great for any painter, printmaker, or traditional photographer who wants to recreate an original. It is also helpful for people who have darkroom prints that they would like to digitize without the negative present or to reproduce a print but cannot quite seem to do it the same way again. · Scan or photograph the original at a high quality with the best, even light you can get. If the image is too big, we might have to make more than one scan or photograph that we later stitch together in Photoshop. · Upload the image into Photoshop and begin correcting the file to make it look closer to the original. This includes cropping out parts of the file that are not the image and sizing the image correctly. · Make lots and lots of TEST STRIPS! Test strips allow us to compare the printed reproduction to the original. We carefully compare the test strip to the original to see what parts of the image we need to adjust. o We make sure to keep all of the test strips to track the progression. · Once the test strips match the original painting or print, we make the full size printed reproduction! If you are interested in this service, please call, email, or stop by the shop and we can make you a beautiful digital reproduction! This is one of the most common questions we get and the answer differs every time. Printing is finding the perfect combination of all these factors. Each photograph is different and we are more than happy to review this information with you at the office! With the digital age we are in, we are constantly looking at photographs on screens. While computers and the internet make sharing our photographs much easier, it also means no one is seeing the exact same thing as you are on your screen. The brightness and colors can range from monitor to monitor, which can also completely throw off your print matching. Usually monitors right out of the box are too bright and have a default color profile, which can be fixed with calibrators. And then there are the Ferraris of monitors that have their own calibration system built in! Properly profiling and calibrating your monitors will give you reduce editing time and a more realistic no-surprises representation of final print. At the office we go the extra step and have our printers calibrated to our monitors, so what you see is what you get! If you ever want to view your images on our screens before we print we are happy to set up a time for you to do that or if you are not local we can send you test prints to see what we see. 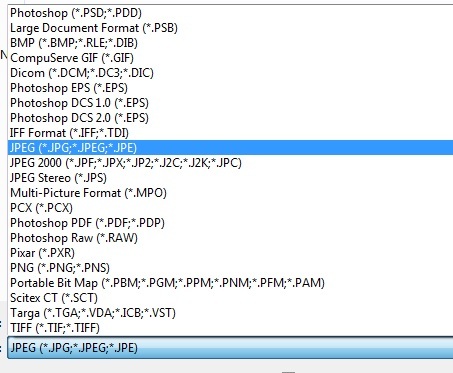 JPEG stands for Joint Photographic Experts Group and is named after the committee that created it in 1986. It is not as sharp out of the camera as TIFF or RAW modes, and every time the JPEG is manipulated more than once or twice, it will eventually become unusable. Every time the JPEG image is modified and resaved, it will lose more data. Once compressed in JPEG format an image cannot be uncompressed (you cannot regain the original quality). This is why the original photo (your digital negative) should be taken with as little compression as possible. TIFF stands for Tag Image File Format. Tifs have a high image quality and is supported by many image-manipulation programs such as PhotoShop, Pagemaker, QuarkXPress, Adobe InDesign, Paint Shop Pro, etc. You can have layers in photoshop when you safe with a tif and it can be modified and resaved, with the images being used an endless number of times without throwing away any image data. The RAW mode is a picture format where the camera has made absolutely no changes; the files are not yet processed or ready to use with an editor, etc. Its advantages are that a huge amount of control over the final look of the image is yours. Additionally, all original details stays in the image for any and all future processing needs. The general rule is to shoot your images with the highest setting that your camera will allow (largest image size in terms of pixels, lowest compression – usually large/superfine). This year the guest juror was Professor Christopher James who is the Director of the MFA photography program at Lesley College of Art and Design in Boston. Liz Ellenwood with the Gold Holga Award! What is a toy camera? Holga, Diana and LOMO just to name a few. They are simple and inexpensive film cameras where you have little to no control over shutter speed and apertures. Common qualities of images made with toy cameras are vignetting, soft focus, light leaks and other distortions. It is the true point-and-shoot camera! Toy camera photography has been widely exhibited at many popular art shows, such as the annual "Krappy Kamera" show at the Soho Photo Gallery in the Tribeca neighborhood of New York City. Various publications such as Popular Photography magazine have reviewed the Diana camera in its own right as an "art" producing image maker. Several books have also featured the work of toy cameras, such as The Friends of Photography's "The Diana Show", "Iowa" by Nancy Rexroth, and "Angels at the Arno" by Eric Lindbloom. The 2016 Somerville Toy Camera Festival will take place in September-October, with exhibitions at three non-profit spaces in Somerville MA: Nave Gallery Annex, Washington Street Gallery, and Brickbottom Gallery. For a full list of opening dates check here. In addition, The Griffin Museum of Photography in Winchester, MA will have a walk-in camera obscura built by artist Marian Roth! The installation of the camera obscura in a small gallery at the Griffin will take place on September 8, and is open to the public. The camera obscura will be accessible to visitors during regular Griffin Museum hours through October 2, 2016. We have been proud sponsors of the Somerville Toy Camera Festival for the past few years. We offer a 15% discount for the exhibiting artists of the Festival for their scanning, printing & framing needs. Every year we look forward to seeing what each artist has created with their plastic cameras! Have questions about digital printing? How to get images to us? What type of file to send? We have tried to start simply and move onto the more complex questions. If you have questions regarding any of this or just want to review the process with us, please call or email us! First things first… You can upload us files here and you will see this screen from Hightail. You can drag and drop your images for upload to us. Do I send Jpg, tif or psd? Raw? You can send us any of the above. We have provided some details below about the difference between each type of file. Raw are the proprietary file from the camera manufacture. Some examples are: Canon (.crw, cr2), Nikon (.nef, .nrw), Sony (.arw, .srf, .sr2), Pentax (.pef, .ptx). Raw files hold the most data from your digital camera and are the easiest file to adjust exposure, contrast, white balance and other fine tuning. We can edit your Raw files however this requires an editing charge. JPG is best for web use, but still can be printed from if it has high enough resolution and was saved at a high enough quality. (80+ in Lightroom, 10+ in Photoshop). PSD is an Adobe Photoshop proprietary format. It can handle all of Photoshop’s features, but has some compatibility issues with non-Adobe products and Lightroom. PSD has a 2gb files size limitation. Due to the compatibility and size issues, PSD has been (or should be) replaced by TIF by most photographers. We prefer TIF. TIF is one of the most universally accepted formats. It can be opened by most image editing and page layout software. TIF supports all the same things as PSD and has a larger file size limitation (4gb). Ultimately, just send us what you have and we’ll figure it out. Got layers, send us those too. We can always provide assistance with your files or if you want to sit with one of our Digital Technicians and review files in person. OK, so a tif file, 16bit or 8bit? Either one is fine. Whatever works for you. You can send us files in any of these color spaces. You should be working in either AdobeRGB98 or ProPhotoRGB to begin with. sRGB is meant as a web colorspace, anything you upload to your website or facebook should be in sRGB. As far as AdobeRGB98 or ProPhotoRGB goes, it could go either way. ProPhotoRGB is much bigger than AdobeRGB98 and can produce more colors. However, you must work in 16bit with ProPhotoRGB otherwise you can end up with posterization effects (banding). The other down side to ProPhoto is it includes imaginary colors. Yes, I said imaginary colors. 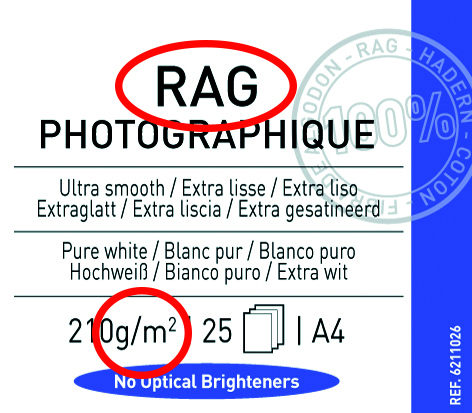 They (Kodak) made the ProPhotoRGB color space so big that 13% of the colors included do not exist in the real world and are not visible colors. This can lead to color issues when printing. Some colors will become over-saturated or will be estimated to its nearest in gamut color and can cause banding. Even the best printers in the world can’t print imaginary colors. AdobeRGB98 is larger than sRGB, is easily printable by commercially available printers and includes no imaginary numbers. Its not perfect, nothing is, but it is the standard most of the photographic world uses. If you have a gray scale file, that is fine as well. Gray Gamma 2.2 will do just fine. Leave that to the offset printers. If you send us a file with a CMYK colorspace we will convert it to AdobeRGB98. What about an untagged file? If you send us a file with an untagged colorspace you will get a call from an angry elf… just ask Ron Cowie. Again, you can just send us what you have and we’ll figure it out. Following our recommendations makes it easier, but we are happy to help in whatever stage you are in! We offer high resolution scanning of all film (color and black & white) sizes, from 35mm and 120mm film, to large format negatives, photographs and other flat surface materials. Due to their structure as virtual drum scanners, inside the flexible film adapters, the film is curved in a radius and by this way guided around the sensor. The film is tightened so that it is in a perfect flat position. The Flextight gives you the beautiful quality of a drum scan without having the mess of using mounting fluid. It is pretty much the Ferrari of scanners and we love it. At Panopticon we work directly with many mixed media artists, painters, and watercolorists. Depending upon your medium we have many ways of capturing your artwork for reproduction. We recently received and image from the Hingham Historical Society for photographing. This image is an original oil painting titled "Marsh Homestead". The original date of production and artist are unknown. Chris, one of our Digital Techs, went to work meticulously adjusting lighting to create the ideal conditions for capturing the image. Then begins the process of color matching. We will create as many test strips to ensure the color is exact. We work our way from the test strips adjusting the color and contrast to the final file. From the finished digital file the client now has a high quality digital representation of their work as well as the option to make an edition of archival pigment prints. At Panopticon we try to give each piece of artwork the same amount of time and attention that the artist put into the original. Sum sum summertime- that's a wrap! Whoa! Summer is always an exuberant time to go down the Cape, have some BBQ and for us down at Panopticon Imaging, make work! Our artists have been busy, so we have been having a great season of working with them on finalizing images, prints and exhibitions! We were so excited to work on so many of these projects we lost track of the time, but don't worry- there were a few outing with the Panopti-crew where we were able to steal some sun and fun. We ushered in the season with quite a bang at the Magenta Foundation's Flash Forward Festival! We have been working with the Festival and it's artists for the last three years, and it is always fantastic and quite a different array of work every time. This year we helped with the printing and installation of the 7 shipping containers that were on the Rose Kennedy Greenway for all of May! In coordination with the Fence, this outdoor exhibition was so much fun, and such a great experience working with the international artists that made up the roster. Each shipping container held a solo exhibition from artists like Angélica Dass and Gregor Schmatz. Angélica Dass's solo exhibition in the shipping container. Along with the Fence, we had the great pleasure of working with Boston Globe Legend Bill Brett on his Flash Forward solo exhibition. We take great pride in managing and implementing all production for these kinds of exhibitions- from the proofing with the artists, printing, framing and even delivery to the exhibition venue. This was the fist of the two large-scale exhibitions we helped produce at the beginning of this summer, the second being a brand new relationship we started with artist Emil Cohen! Emil Cohen came to us for assistance in producing his solo exhibition, "Portraits in Provincetown" at the William Scott Gallery that was held in July. The exhibition would be of 76 portraits he made of the good people of Provincetown, both large and small scale to be displayed. The portraits are beautiful as well as playful and sometimes mischievous- just as you might expect from P-Town. Working from London now, Emil needed to produce the exhibition remotely, and we were happy to take on the task. When the exhibition was finally ready for air-time, we took that opportunity to join him in P-Town for a little out-of-office research and development. We hope if you were there this summer, you were able to see Emil's work, or him photographing for the project! Our whole summer did not just consist of large-scale exhibitions, though. We work on any photographic endeavor, and were happy to work on both printing and framing projects for a multitude of new clients. Artists such as Lazaro Montano stopped by to have one of his great Color Block pieces printed and framed; as did Toni Pepe, who had some of her new work in this summer's Community of Artists exhibition at the Danforth Museum of Art. 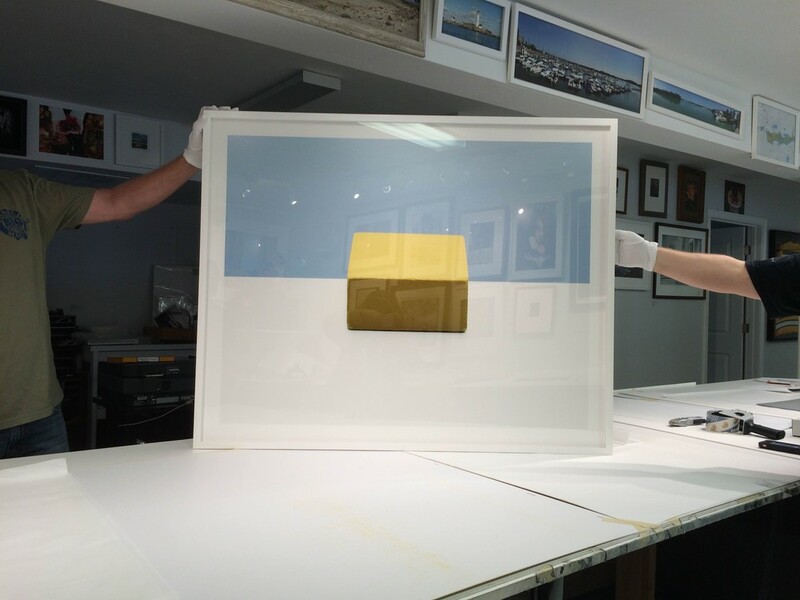 It was also great to do some expert framing for the end-of-summer exhibition Landscape as Fetish at Gallery Kayafas, introducing us to the work of Angela Mittiga and Mark Dorf. It has been a delightful season, and we hope that the fall brings even more exciting projects as we get to see what everyone has been working on all summer! And don't worry, we haven't slowed down one bit. We are currently preparing artist Betsy Schneider for her exhibition at Harvard's Carpenter Center, and looking forward to the great work that will be in the Griffin Museum of Photography's annual Atelier exhibition in September! Stay tuned for more, and have a great rest of August! What is one stop shopping for exhibition production? Here at Panopticon Imaging we can assist you with all phases of your exhibition from file upload, paper selection, printing, scanning, image editing, image sequencing, framing consultation, custom box building and delivery! Planning an exhibition is exciting and nerve-wracking. We work directly with you to make the production process as stress free as we can. To start all you have to do is upload your images to our website. We can also create a secure FTP login for you, if you are printing over 10 large files ( over 10GB). Most recently we have worked with the Flash Forward Festival to produce the exhibition "Boston: Irish" for Boston photographer Bill Brett. Framing doesn't have to be a daunting task. We have a vast variety of mounting, matting and frame moldings for you to choose from. We are more than happy to assist in selecting the frame that will highlight your artwork and convey your visual aesthetic. Once the exhibition is all framed. We take meticulous care of every photograph by individually wrapping and photo cornering the images. 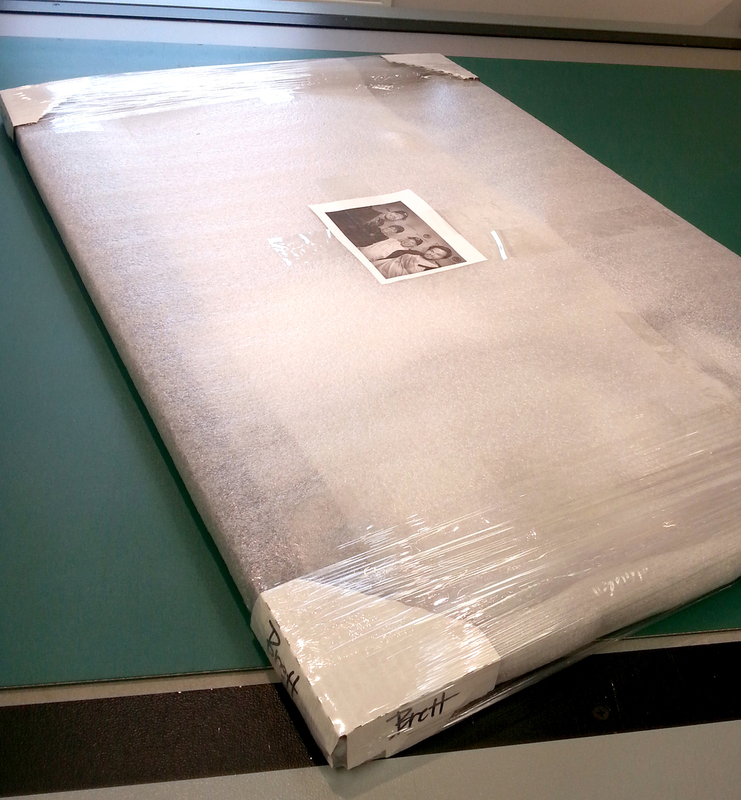 Also, on large scale shows we can mark each image with the thumbnail print out on the outside wrapping. This makes the installing easier as you can sort all of the images. Also, we can create all kinds of boxes for photographs. Are they getting shipped? Or transported on a van for local delivery? We do not buy pre-made boxes instead we customize everything for you. Each box is built by hand to ensure that your images arrive in perfect condition. We created half boxes for these images for delivery to Boston. This will protect the images from shifting during transport. We have a delivery van that can accommodate images up to 56x70 inches in width! We can make deliveries on request to Connecticut, Maine, Massachusetts, New Hampshire, New York, Rhode Island and Vermont. Here at Panopticon we try and make it as easy as possible for so you can enjoy your opening! For more information on Bill Brett's work check out his website here. What is an Inkjet, Pigment, Iris and Giclee Print? Answer: Nothing! They are all the same printing process. We call our prints Archival Inkjet prints. However, they are also known as a Giclée, Iris or Pigment prints. Giclée is just a fancy word for "spit ink". Pigment prints get there name from the archival pigment inks used. Iris prints were named after the printer used which was manufactured by Iris Graphics. Ultimately, they are all the same. Some labs or galleries like to use fancy words to charge more money or make it sound more specialized. Now that we have demystified the print names. What are some things you should be asking? The most important question to ask are the following. -free, 100% cotton fiber, 330gsm weight paper. They are printed on an Epson printer with "
-free, 100% cotton fiber, 310gsm weight paper. They are printed on an Epson printer with "
Does the paper contain optical brighteners? , and re-emit light in the blue region (typically 420-470 nm). Basically, they make paper brighter in the sunlight. But over time they can degrade and this will affect the your image and makes it non-archival. We have two different printers which use two different types of inks.
. They are both pigment inks with high pigment density and feature a resin coating for each particle for more stability to produce prints of an even surface and gloss and that are highly stable on a wide variety of media including fine art, specialty and plain paper. These inks can deliver twice the density of our conventional pigment inks. As a result, they reproduce a larger gamut of color and deeper blacks. Are you a Commercial Photographer, Fine Art Photographer or Novice Photographer? Here at Panopticon Imaging we would like to make the printing process as easy as possible. When you visit our website you can upload all of your files/images directly here! The "Upload Files" tab will transport to our Hightail account.This makes it super easy to upload numerous larger files to us! Once we have your files we can review the paper options. We are more than happy to help you select papers. Want to stop by the office? We love visitors and we have 2 books you can look thru and feel the paper's weight and textures. Canson and Epson papers are our preference for their archival natures however, we can use any paper of your choice. Want to print large or panoramic images? We can print up to 44 inches wide by however long your image is. We offer standard print prices along with square inch pricing to give you the most value for your image. Want to make sure the colors or tones are spot on? We can provide test prints & strips for a small fee. Just like we did for Emil Cohen's Portraits in Provincetown series. Stop by, email or call and we are here to help with your printing needs.